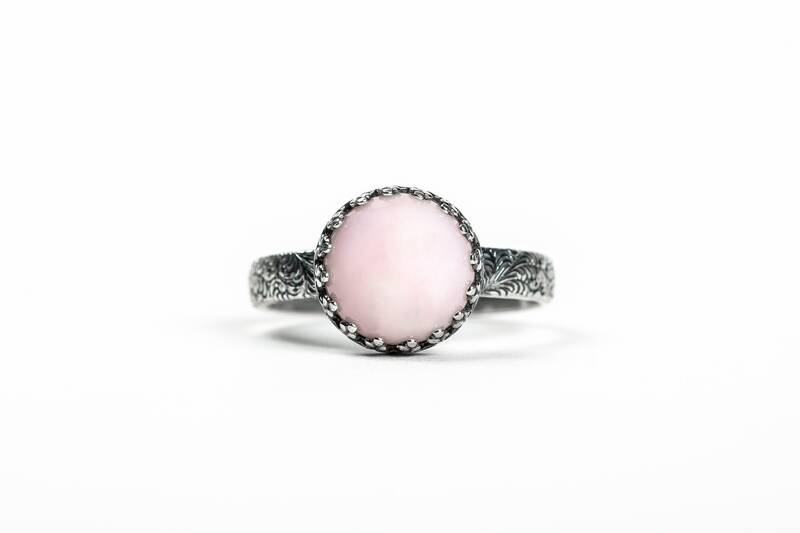 This dreamy light pink ring is created from solid Sterling Silver and set with a gorgeous Peruvian Pink Opal gemstone. 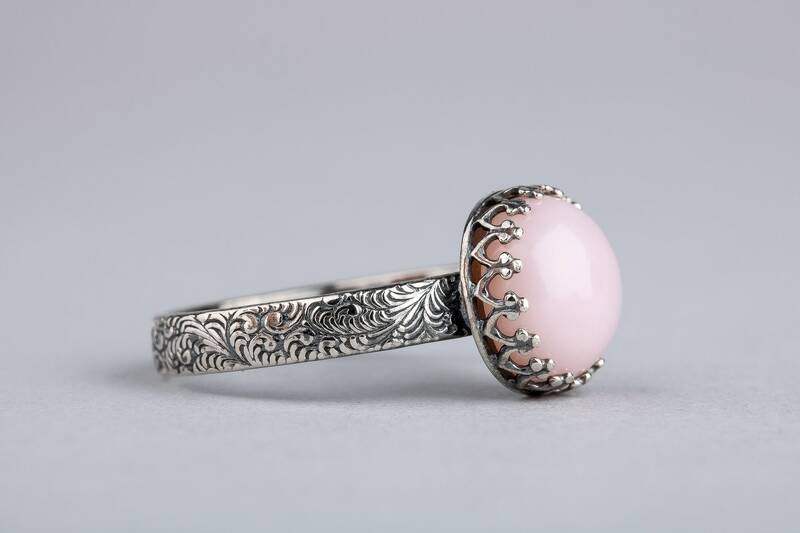 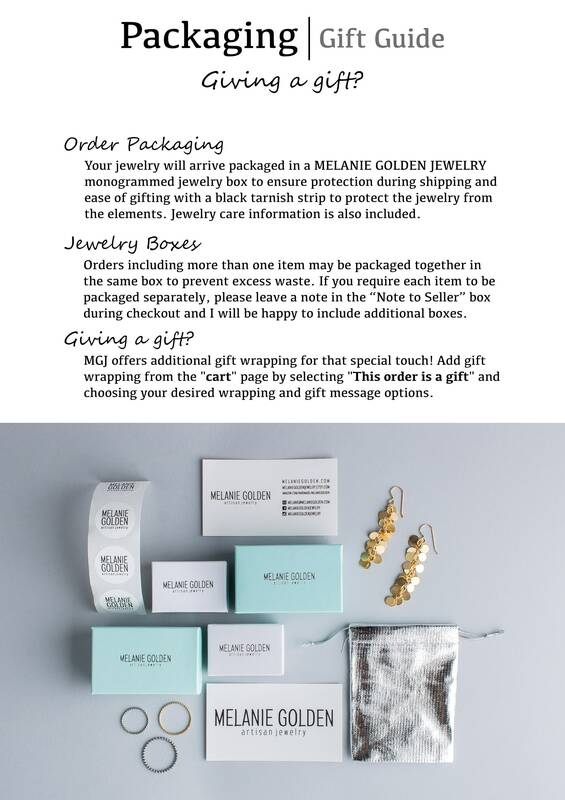 The ring is oxidized and polished to bring out the silver highlights. 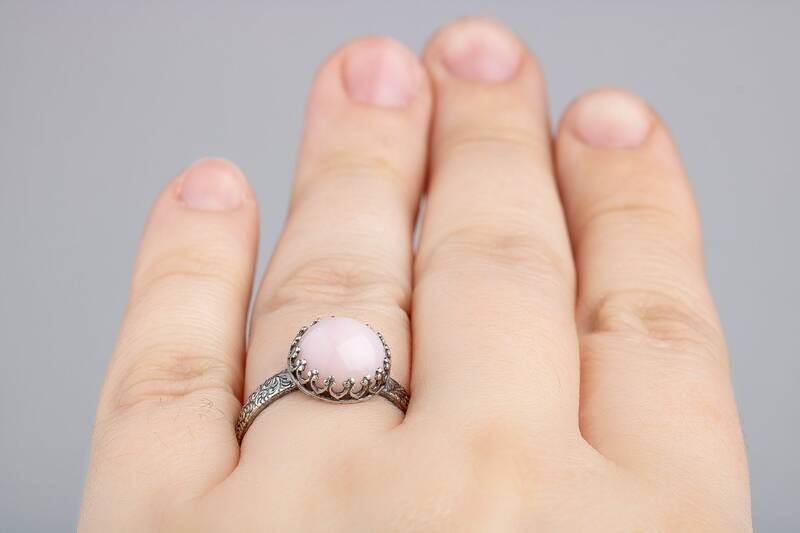 These natural Pink Opal gemstones are a gorgeous milky pink. 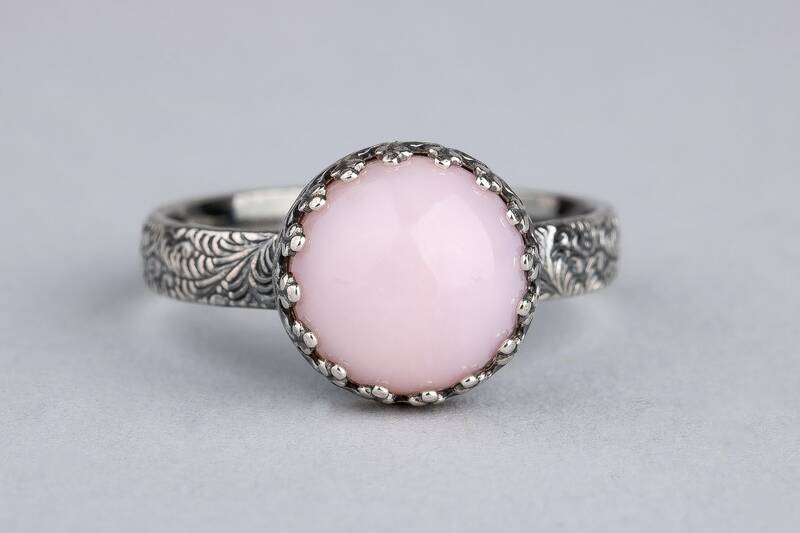 Without the play of color typical of other opals, Pink Opal consists of a combination of opal, palygorskite, and chalcedony. 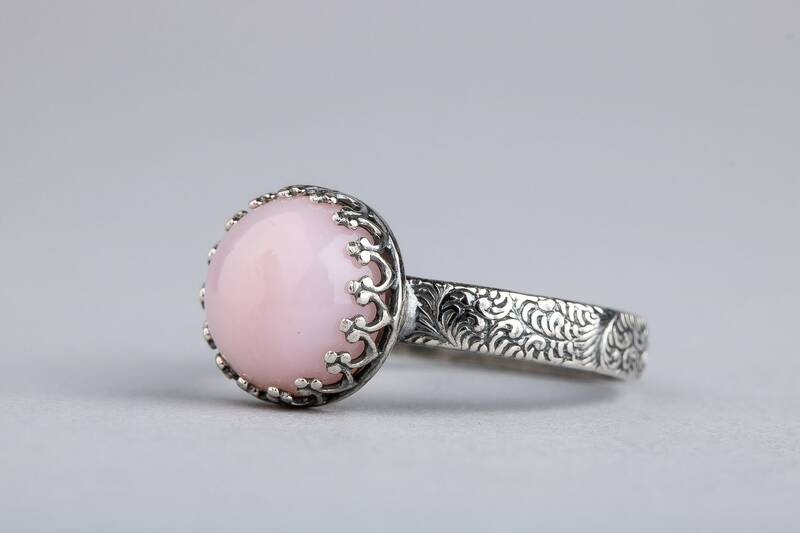 It presents a range of soft-pink tones, and has been called 'pink Andes opal'. 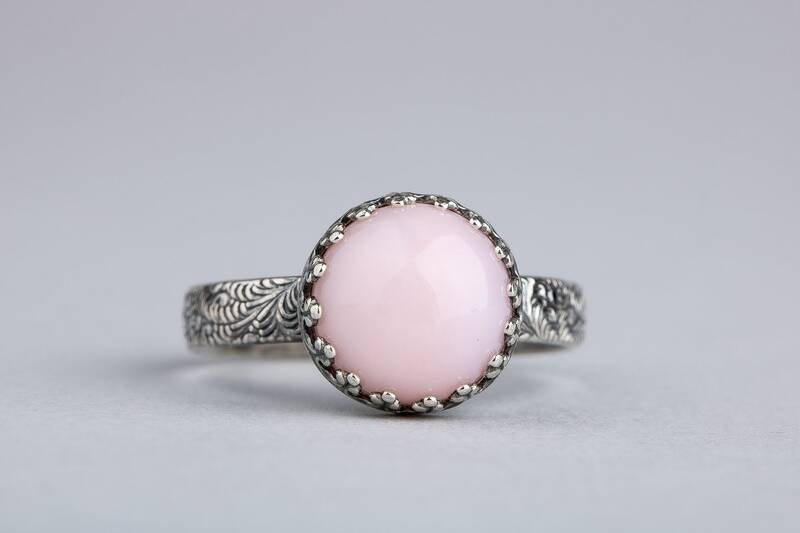 Opal is one of the birthstones for October. 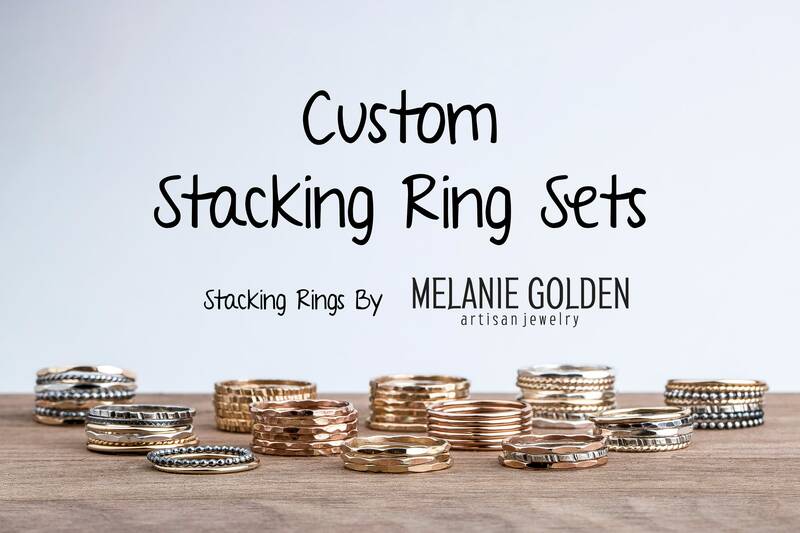 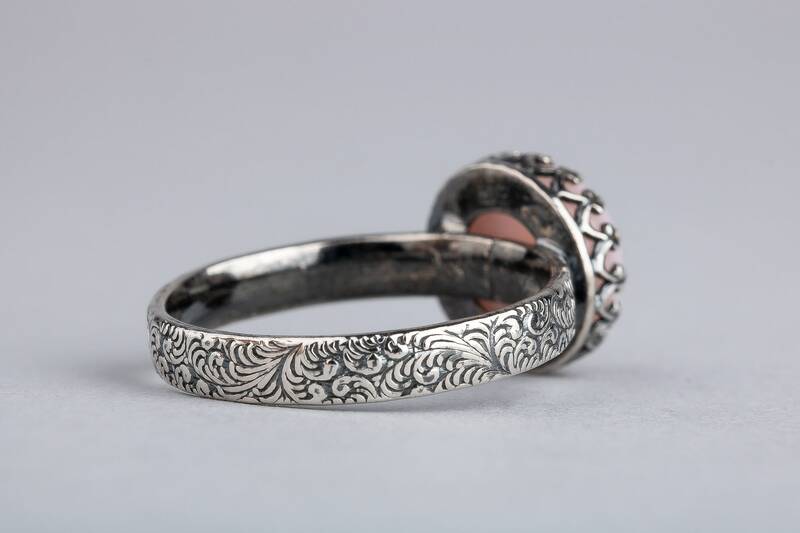 - Ring band measures about 4mm in width. 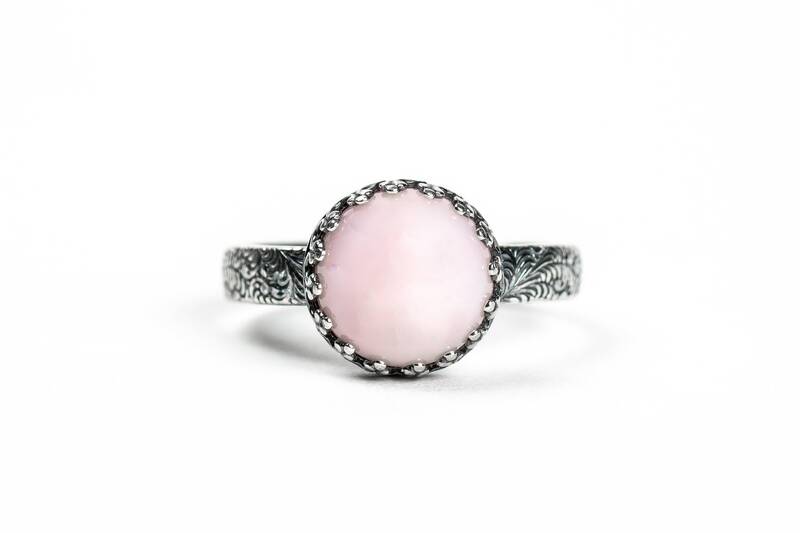 - Ring is entirely handmade from solid Sterling Silver and Pink Opal.